IS A PARTICULARLY NOTEWORTHY HABANO BECAUSE IT IS MADE FROM LEAF GROWN EXCLUSIVELY IN THE VUELTA ARRIBA TOBACCO-GROWING REGION. The second generation led by José Lamadrid Piedra founded and developed the brand whose name we know today. 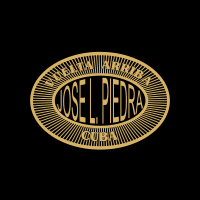 All seven of the José L. Piedra sizes are made using the traditional “totalmente a mano, tripa corta” – totally hand made, short filler technique.